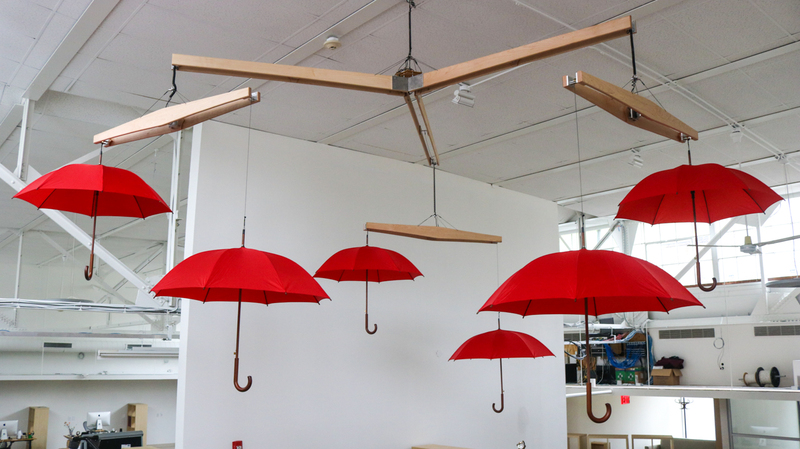 "A small workshop specializing in automated craftsmanship"
The subtle movements of umbrellas slowly rising and falling bring this large mobile to life. Movement increases when precipitation becomes more likely. 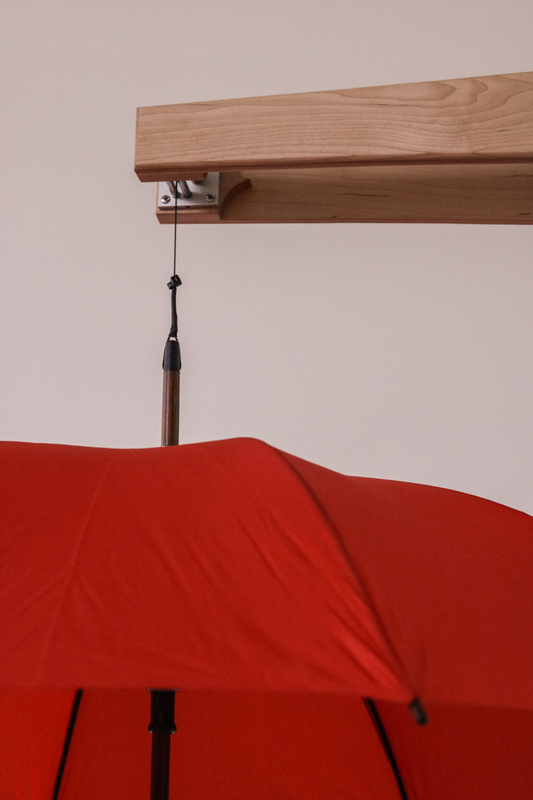 The three umbrella carrying arms are suspended at slightly different heights. 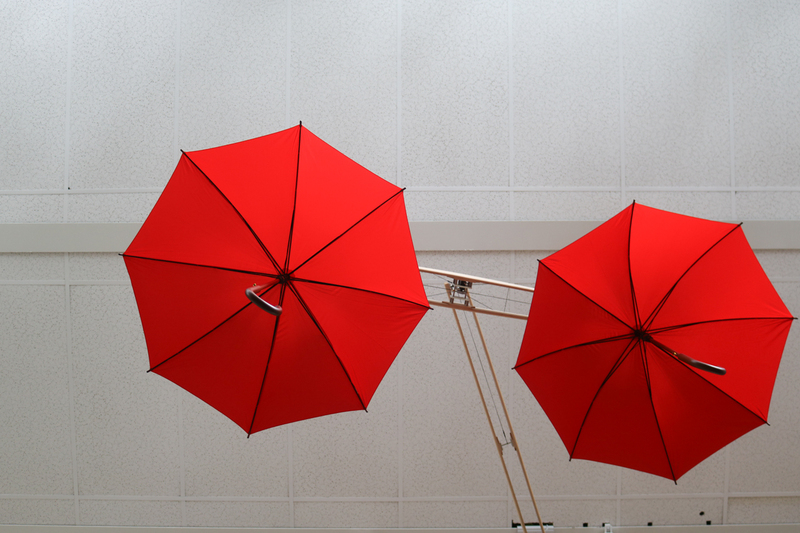 One pair of umbrellas moves based on current precipitation, another if it will rain or snow within fifteen minutes, and the third if something will happen within the hour. DarkSky is a modern weather forecasting company. They have created a successful smartphone application, website, and service for accurate forecasting. 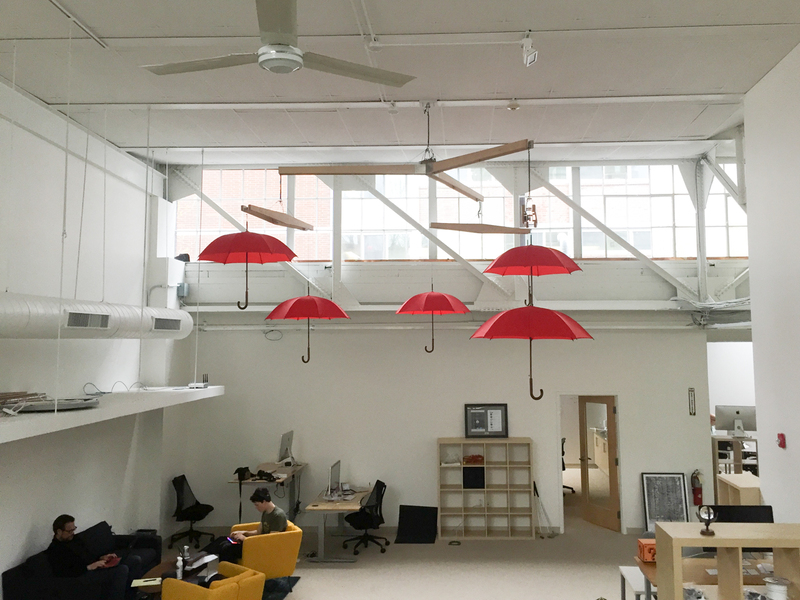 The Umbrella Gyre, the centerpiece of their office, is a pleasing artistic way of showing the power of what they have built. The weather forecasts that animate the gyre are specific to their office's exact location - down to their street address. 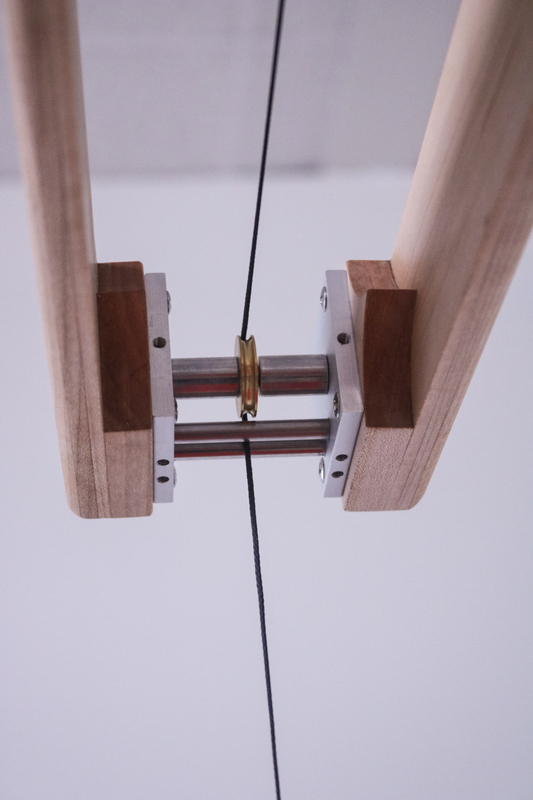 While the Gyre was built for the unique esthetics and demands of DarkSky, the idea of using data to bring art to life can be applied to anything we build. Imagine flocks of birds, schools of fish, all gracefully moving to the price of a stock, the score of a game, or even the status of something you care about in your company or home.